‘Tis the season to shop for holiday toys and gifts. Or to bring that product back, for a full refund or replacement? While a record number of consumers shopped for the holidays, IKEA and Honda issued major safety recalls in November. We share an update on these recalls and continue our Project KidSafe series on toy safety. Honda Odyssey Recall. It’s a replacement part if you own a Honda Odyssey and unfortunately, you can expect to wait. 107,000 Honda Odyssey vans because of a problem with the power doors. Photo: Wikipedia. 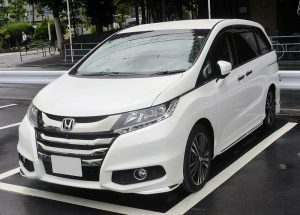 Just in time for the Thanksgiving drive, Honda recalled 107,000 Honda Odyssey vans because the power doors may improperly latch and can potentially open while the vehicle is in operation. Honda has not received any reports of injuries. Honda recalled vehicles from the 2018 and 2019 model years on November 20, 2018. The automaker called on drivers to request replacement power sliding door kits through an authorized Honda dealer. Replacement parts should arrive at licensed dealers in late December. Honda advised owners they can disable the power door. Use manual operation until replacements arrive. This is not the first recall involving Honda Odyssey vans. Last year, 900,000 Odyssey models from 2011 – 2017 were also recalled. In that case, Honda reported second-row seats could tip forward if not properly latched. Tipping could happen during moderate or heavy braking if seats were not properly latched after adjusting side-to-side or reinstalling a removed seat. Honda received 46 reports of minor injuries. To learn more about the recalls, visit the Honda website. IKEA recalled these dining room tables in November 2018 because the dining surface can collapse. Return for a refund. IKEA Tables. It is a return if you have an IKEA table. The retailer recalled 8,200 dining tables in the U.S. and 1,500 in Canada on November 27, 2018, warning the table’s glass extension leaf can detach and drop. This has already happened three times. IKEA reports one minor injury, requiring no medical attention. 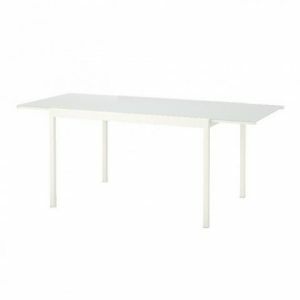 These tables sold at IKEA stores and online from February 2017 through October 2018. They sold for approximately $300. IKEA says consumers can return them for a full refund or a replacement table. Learn more on the Consumer Product Safety Commission website. Consumer Safety Tip: Consumers do not have to wait for the news media to report unsafe products and product recalls. You can view recalls online on the CPSC website and even sign up to receive email alerts when products are recalled. Visit the toy safety page on our website to learn how to sign up. Not every recall is the same. The CPSC can release product recalls calling for refunds or replacements. Some products can be repaired easily. Others cannot. Consumers should pay attention to all recalls. Encourage friends and family to do the same: return and refund or replacement/repair. Another option is just remove the recalled product from your home, if it can be taken apart and discarded with care, so other children cannot reuse it. Among older children and teens, Hoverboards and riding toys are popular holiday gifts. These toys have injured and killed in recent years, with Hoverboards also burning down homes as the lithium ion batteries charged. Before you buy, check the CPSC’s safety standard for Hoverboards (UL2272 safety standard). Remember the standard is still new, first issued in 2016, and not an endorsement for safety. In fact, the CPSC has strongly urged consumers not to buy Hoverboards, as has W.A.T.C.H., the Boston-based non-profit which included Hoverboards on its “10 Worst Toys” lists. Taking the time to check if a toy you want to buy – or already own – has been recalled can prevent injuries and save your loved ones’ lives. The number of toy recalls varies by year, but there are always recalls. So far in 2018, we have seen child-related recalls of dolls, toys with loose wheels, clothing, toys with excessive lead limits and go karts. In 2017, the CPSC reported 28 recalls of individual products. 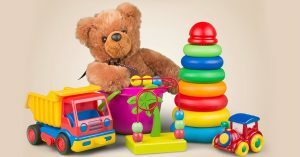 Over the past 10 years, 2008, 2009 and 2010 have seen the most toy recalls, with the highest number coming in 2008, when 172 toys were recalled, according to the CPSC. This was the first year of major safety changes, including passage of the landmark Consumer Product Safety Improvement Act (CPSIA) of 2008. For the first time, toys had to be tested to ensure compliance with the law and the CPSC was granted greater authority in overseeing toy safety standards. Federal limits were also imposed on toys containing lead and other chemical hazards. In December 2008, Mattel and subsidiary Fisher Price agreed to pay $12 million to Massachusetts and 38 other states over events leading to recalls of toys with lead levels above the new federal limit. Beyond toys, children’s products are also subject to frequent recalls, including names like Graco car seats and Britax strollers. This is a frightening fact, because these products carry children.